Happy new year everyone. Oh, we are so done with our thesis presentations, but we'll talk about that next time for now i'm up to make a year-end special post. I want to add a different recipe on this post, i won't be posting anything about what happened this year, or anything about to look forward to by next year, this post is actually what's on my mind until today. This is about what I've seen on the TV last night at Bandila----a late night news program. Since yesterday was Rizal day and also the day when we finished our thesis presentation so i have to make this post for him. 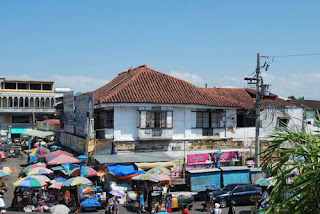 In the news, the house of Jose Rizal's mother-------Teodora Alonzo is being dimolished by the developer who bought the house from Rizal's clan. They say that "It's not the house of Rizal, that's her mom's" the point is, if there's no mother there's no child, right? so how come that they don't even give importance to it? it's a disrespect in our history, even if i am Rizal, i will be mad at them for they don't respect my family's property. Even the vendors who sell at the sidewalk at Alberto's don't know the history of the house. A vendor said " That house?what's that, i don't know anything about that"
It seems like we are forgetting something important in our history. Let us always remeber that becuase of Rizal and other heroes who sacrificed their lives, we are tasting the sweetness of independence today. I hope that as the new year comes, the government especially our president NoyNoy Aquino should take an action about this!. I Condemn this kind of disrespect in our National hero Jose Rizal, in our History and thus, on the Philippines! However, this is the norm in the Philippines. Historical monuments and important places are being ignored. 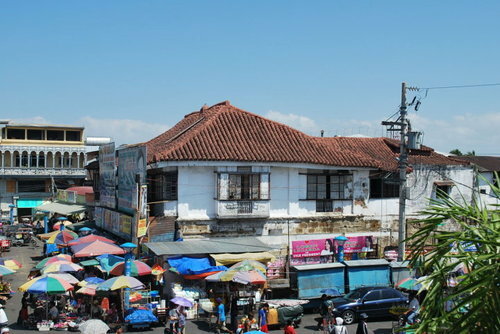 Many houses of other notable Filipinos in history were already destroyed or crumbling. It seems like our government and the Filipino people don't care about their roots and their history. It was horrendous to read this post, why? it makes you damn feel uneasy for the stupid and greedy people who doesn't love history or who never gives importance to our National hero's mother. It is greediness! To you, thank you for being a part of my 2010. i appreciate it alot Steve! Kudos to you! talaga steve? nako ah.. nakakainis nga naman talaga ung ganon. i mean... hello? it's part of our past. dapat malaman o makita pa ng mga anak natin un. grabeh naman sila. porket ba hindi national hero nanay ni Rizal eh babalewalain lang din nila? sama! i agree with you. they shouldn't abolish it. part of history na din yun. haaai. happy new year ! lov the theme btw :D kahit na, it's his mother house. her mother is part of Rizal's history. tssssk ! sayang naman ! grr. nainis tuloy ako. anyways, good to know hat your thesis are already done :) congrats !